All the knowledge of fire awareness training with the addition of live fire fighting using extinguishers provided if necessary. This is also certified on successful completion of the course. Suitable portable fire fighting (fire extinguishers, fire blankets etc) equipment must legally be provided in all places covered by Regulatory Reform (fire safety) Order 2005 (RRO 2005). It is important all staff know exactly how to use this equipment, when to use this equipment and the risks associated with using this equipment. Using fire extinguishers in a confined space (room) is risky without smoke or fire present. It is of critical importance that the correct fire extinguisher is used on the specified type of fire. Ultimately fire fighting is not recommended. It is better to shut the door on a fire and follow all the simple procedures taught repetitively in Fire Awareness Training. Fire extinguishers for example are placed in buildings as a legal requirement, a method of attacking a very small fire after a qualified dynamic fire risk assessment, a means of assisting or protecting escape, or a last resort. Nobody can be forced by employers to use fire extinguishers. 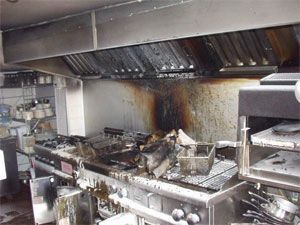 We will teach you and/or your staff to use extinguishers with the minimum of risk to health and property.